More Giveaways to Celebrate St. Brigid’s Day! Come back Feb. 1 for my final St. Brigid giveaway! This entry was posted in Brigid of Ireland, ebook, giveaway and tagged Brigid of Ireland, ebook, giveaway on January 30, 2015 by cthomson. Hi Cindy! 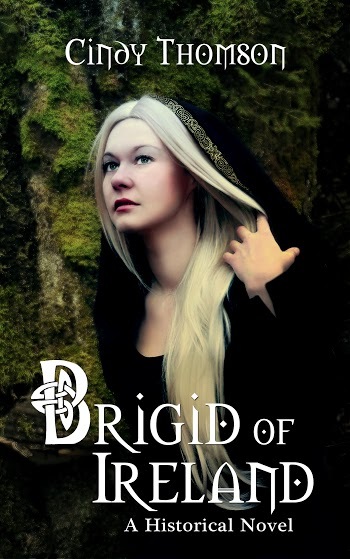 I hadn’t ever heard of St Brigid until I started getting your blog, but I’m fascinated by the stories you’ve told and look forward to reading your book Brigid of Ireland! Thanks, Kristen! I’m happy I could introduce you! I have ever heard of St. Brigid before. But now I’m intrigued! I first heard about St Brigid around this time last year and was intrigued by the stories. I think most of what I know about her comes from your blog posts though! I am of Irish descent and love St. Brigid’s story. I hope to one day visit Ireland.